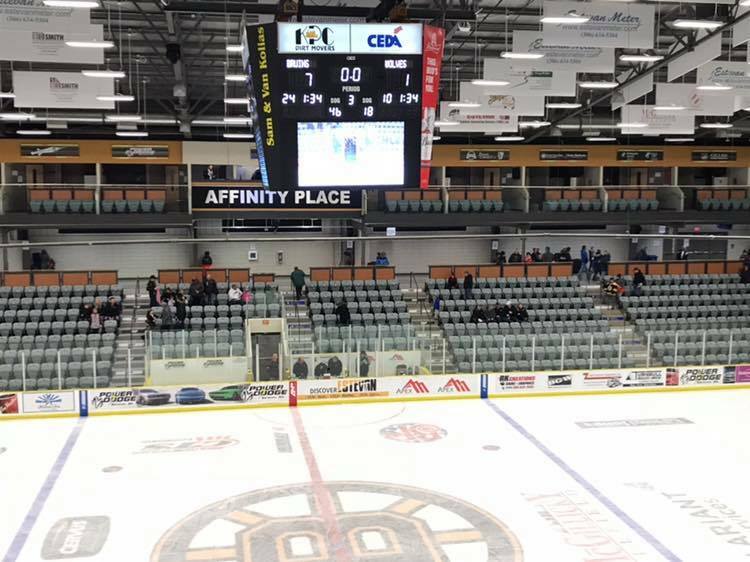 The La Ronge Ice Wolves were looking for their fourth straight win on Saturday night in Estevan, but that did not happen, as the Bruins skated away with a convincing 7-1 victory. Kolby Johnson scored the only La Ronge goal 9:22 into the first frame on the power play, which evened the game at one. Jordan Frey got the start in net for the Ice Wolves, but he was replaced by Merek Pipes following the first frame. Frey finished his evening with 13 saves on 17 shots. Pipes allowed three goals on 29 shots. Johnny Witzke scored twice for the Bruins, while Tristyn DeRoose, Tanner Manz, Turner Ripplinger, Eddie Gallagher and George Cathers added singles. Jake Anthony was not busy in the Estevan net, he only had to make 17 saves for the win. With the loss, the Ice Wolves slipped to 4-7 on the campaign, which currently has them in 11th in the overall standings. La Ronge will try to bounce back on Sunday afternoon in Wilcox when they face the Notre Dame Hounds for the first time this season. You can catch Sunday’s game on MBC Network Radio with Braden Malsbury, the pre-game show begins at 4:15 p.m.